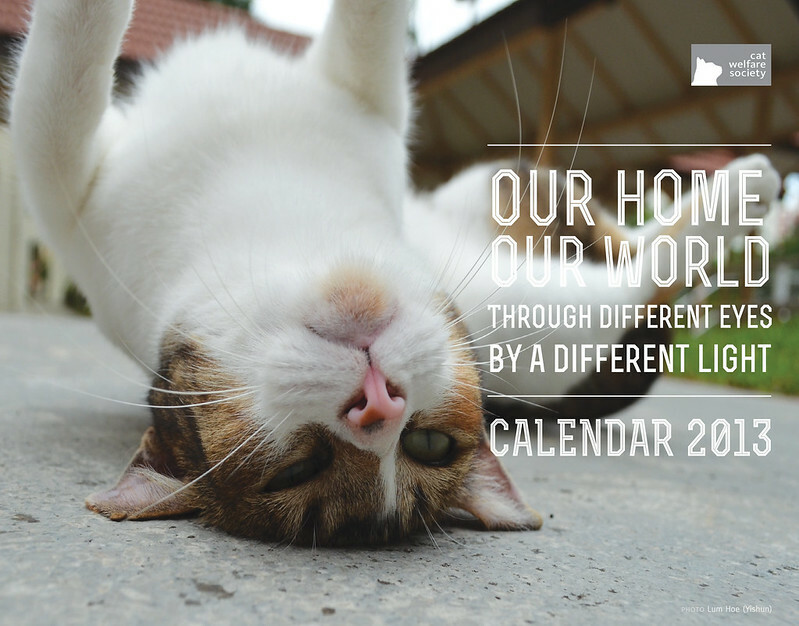 HomeAll PostsIt’s time to talk about our 2014 calendar! It’s time to talk about our 2014 calendar! Yes, we are a little late but better late than never! It’s been an extremely exciting but gruelling year! This is the year we have really seen the whole Singapore landscape move towards a humane solution with regards to cats. Requests for sterilisation and management solutions have tripled! This is what we have worked towards but on the flip side, this has put our resources to the very test. Last year, we spent $280,000 keeping up with this growing demand. This year, its really broken a new record and its only September…. We NEED TREMENDOUS SUPPORT from all directions to simply keep up. Sterilisation projects are coming in with 30, 40 even 60 cats for one project! This shows that caregivers are truly venturing into new territories – industrial areas, hoarder homes which have been previously overlooked. We need to help them fulfill this. GOOD NEWS is, we are now an IPC organisation and your sponsorship donations this year will receive 2.5 times tax deductions! It’s no better time to save cats!!! The calendar is not just a fundraising tool. It is meant to tell the stories that need to be told about the joys and struggles of our community cats and those who save them. It is meant not only for cat lovers who will certainly love it but aim to touch the hearts of those who have yet to discover that soft spot for these often misunderstood creatures. If you would like to pledge as a sponsor, here is how you can do it: 1. Personal Sponsorship of $100 – Your name will appear on the Credits section. 2. Mini Corporate Sponsorship of $200 – Your business name will appear on the Credits section. 3. Corporate Sponsorship with logo $500 – Your business’ name and logo will appear on the Credits section. 4. Corporate Sponsorship with full page dedication $1000 – You can place a full page advertisement in our calendar. Other ways you can help: 1. Are you a professional photographer who would like us to feature your work? Contact us. 2. Help us source for distribution partners — restaurants, shops — willing to stock and sell our calendars. 3. Be our mail order volunteer to help pack and mail out orders. 4. Sponsor the entire 2014 calendar project and the kittehs can kick back and go fishin’ 😛 Drop us a line at [email protected] if you can help our every popular calendar get out there! When stray cats in Bayshore Park condominium started falling ill nearly two weeks ago from what looked to be a case of mischievous poisoning, cat lovers and animal welfare groups sprang into action.